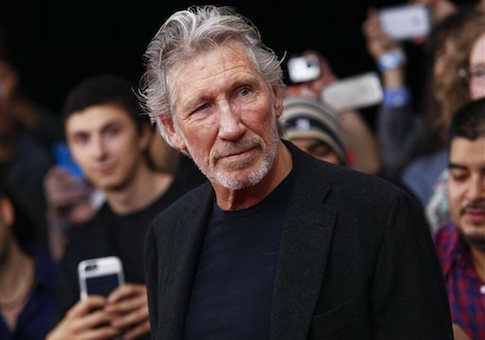 Radio host Howard Stern lashed out at Pink Floyd front man Roger Waters on Tuesday, branding him an anti-Semite for supporting boycotts of the Jewish state. Waters, a longtime anti-Israel activist who supports the anti-Semitic Boycott, Divestment, and Sanctions (BDS) movement, penned an open letter this week to rocker Bon Jovi, criticizing him for performing in the Jewish state. Stern, a supporter of Israel, took issue with Waters on Tuesday’s broadcast, calling the singer an anti-Semite in a seven-minute profanity-laden rant. "He’s gotta shut up, Roger Waters," Stern said in reaction to the singer’s letter to Bon Jovi. "What is with Roger Waters and the Jews?" Stern asked, referring to the aging singer as "Mr. Pink Floyd." "Why does Roger Waters live in America, a country that was founded on white people coming in and obliterating the native population? How does he stand it? Why don’t we all leave?" Stern then launched into a robust defense of Israel’s right to exist. "There are so many Arab countries and so much land around Israel that if you threw a pin in a pool, that’s what Israel is," he said. "Picture a desert with no natural resources, no water, no oil. It was a sh*thole that nomads would essentially walk over. So they figured, where’s the one place they can stick Jews where no one will be offended." The Palestinian people could live in Egypt or Saudi Arabia, Stern said. "But guess what? Those countries don’t want them either. And it bugs the sh*t out of Roger Waters. He can’t f*cking deal with it. He’s writing letters to Bon Jovi." "Where do you want the Jews to go Roger?" Stern exclaimed. "Where do you want them to go? You want them to just go back to the concentration camp? What is it you want, f*ck head?" Stern went on to ask if Waters would like the Jews to move to "the dark side of the moon," a reference to Pink Floyd's legendary album. "There’s no need to take Roger Waters’ latest letter as the only record of his anti-Semitic performances," said Anne Bayefsky, director of the Touro Institute on Human Rights and the Holocaust. "Watch him at the U.N. tell the world Hamas wants peace with Israel. He’s a front man all right. A front man for genocidal terrorists." This entry was posted in Culture and tagged Anti-Semitism, Israel. Bookmark the permalink.